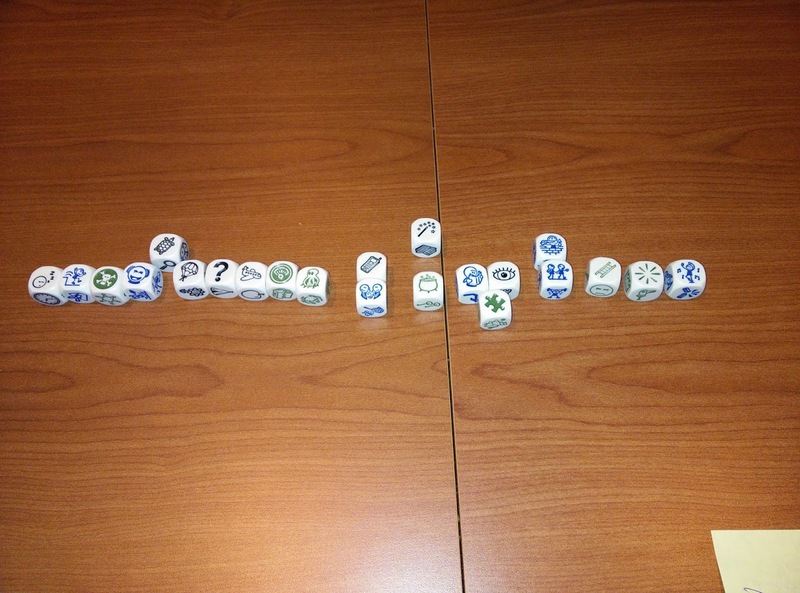 I would like to share my latest retrospective exercise that I did with 2 teams. Both were amazing. I really liked them, the teams liked the results and the narrative they did. 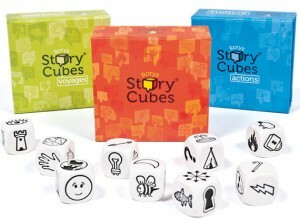 The game is very simple, you need a few story cubes like you see in the post picture. 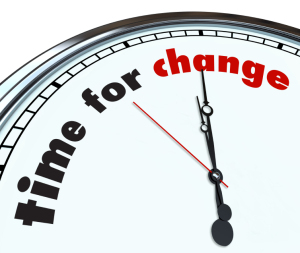 Define the time line period. I personally did the full 2014 year. It was the first retro from 2015, so we did a review of 2014 to see all of the GOOD things we did. In any case, you can adapt it to a 3-6 month time line, or the “last” project review, or something. 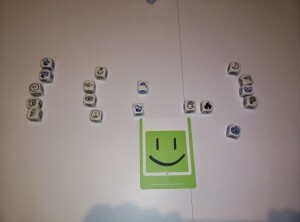 Now the people have their cubes, the rule (s), and the time line. One by one they start to put their cubes in the time line and explain “what” the cube represents. At this point, be ready to see funny “cube pictures” and some really good things, and some things to improve. Note: Don’t look for precise dates if the time line is long. In our case, 12 months was long, so we were looking for the “months” and forgot about the days. Now, each team member tells a very good story around the timeline. It is time to put it all together. Allow the time for discussion, add more explanations about each event or cube. It is here where team members exchange a few points of view and decide what happened first and so on. Next, the team exchanges their point of view of the same event, I personally enjoy those 10/15 minutes to put it all together. At the end, a few members will tell the full story; everyone agrees and that is it. I am not able to do a game or exercise without spending 5 or 10 minutes debriefing the result. Here, I ask for “what did you like most?”, “should I change something for the next time?”, or any other questions to provide feedback and the feelings of the team members. That’s all, I hope you like it, and feel free to share your comments and feedback here. This is a great idea Omar! I was glad to find out that it is possible to buy the cubes in Argentina as well. Nice to know it Ani. Can you share the place where you are able to buy them? 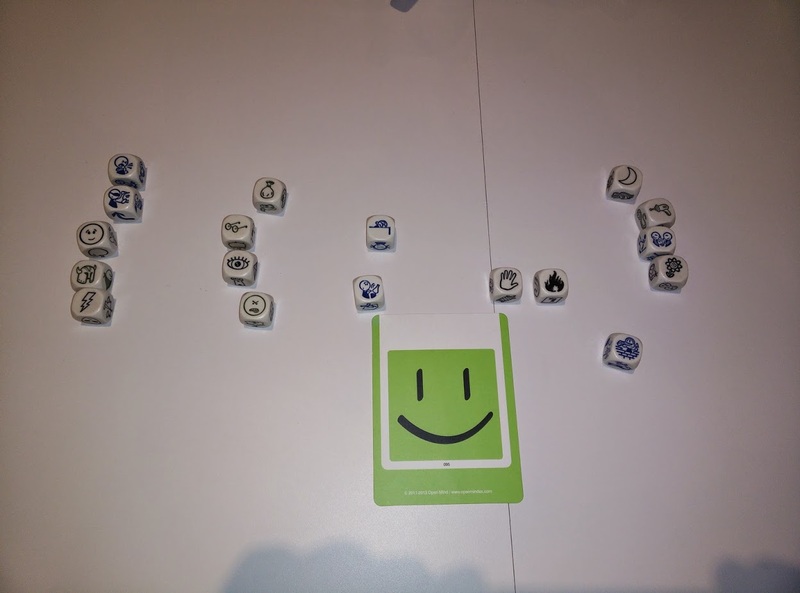 During risk identification workshops, I ask people to Identify the various risks in their project by using these story cubes. This will open teams imagination and they try to come up with as many risks as possible. 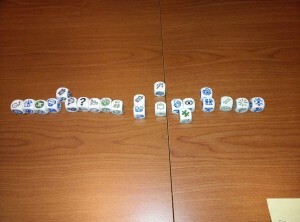 Another advantage is we can avoid anchoring with this technique as every one picks a cube and presents their interpretation. So all team members participate without fail. After gathering these risks, we do Qualitative and Quantitative Analysis to filter them further. Yes, the cubes have a good potential for a few things Raj. In my mind, any tool that allows to talk to everyone in a room is a good one.